Our company started ambulance production in 1997. 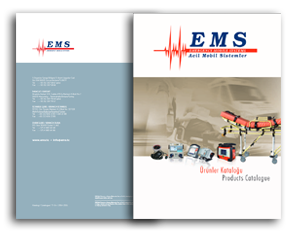 It is one of the leading ambulance and ambulance equipment producers in Turkey and abroad. Our greatest target is to keep the quality of our products, which are used to save lives, always in the highest level and to provide for their development. In order to ensure this development and perpetuate it, we obtained the ISO 9001, ISO 13485, EN 1865, ISO 14001:2004, BS OHSAS 18001:2007 and EN 1789 Certificates. We also have CE certificates for the ambulance equipment that we produce. We take pride in being a firm that obtained the first EN 1789 Certificate in Turkey, and also subjected its ambulances, ambulance stretchers and stretcher platforms to the “10 G Crash Test” and successfully completed the test. 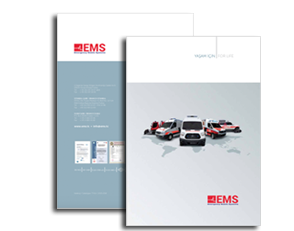 One of the most important factors in the successes of EMS Mobile Systems, which has a longstanding background, has been the customer relationships. 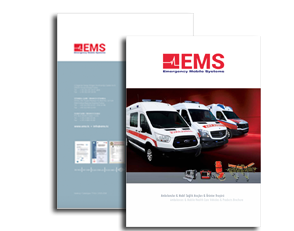 EMS Mobile Systems, which develop special solutions for its customers and keeps the philosophy of innovation based on its customers, will keep its growth targets alive in 2017 and later on. In this direction, our main principles are to cooperate with our suppliers of goods and services to ensure the quality assurance and increase our efficiency and quality and to evaluate all our activities systematically and regularly to head always for better and more precise and we undertake to comply with the quality management system and all the relevant legal requirements. EMS Mobile Systems, through its new factory with nearly 20.000 square meter covered area in Ankara, Turkey, carries out worldwide project activities with its specialist staff.